With the 2018 Kentucky Oaks is just over two months away, some of last year's top 2-year-old fillies have still not returned to the stage, while others are stepping it up to open their 3-year-old seasons. 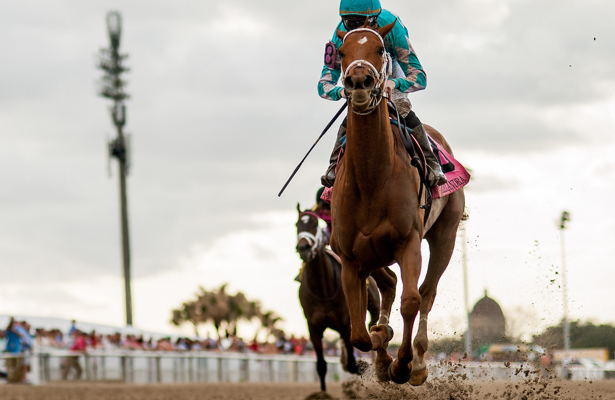 So far, Grade 2 Rachel Alexandra Stakes winner Monomoy Girl leads the way with 54 points on the leaderboard, but a spot in the starting gate is about to get more competitive with a handful of 50-point preps kicking off in early March. Here's an update on what's new with the leading juvenile fillies, plus the emerging names to know on the Kentucky Oaks trail. Caledonia Road (Quality Road – Ralph Nicks – Zoom and Fish Stable Inc., Charlie Spiring and Newton Anner Stud – 24): The Breeders’ Cup Juvenile Fillies and Eclipse champion recently had her first work after surgery to remove an ankle chip. She breezed an easy three furlongs in :38.45 at Palm Meadows Feb. 21, and while Oaks plans were disrupted from the chip, the first Friday in May is still not ruled out. Dream Tree (Uncle Mo – Bob Baffert – Phoenix Thoroughbreds – 20): Perfect in four starts, Dream Tree has continued to improve with each win. After defeating Midnight Bisou by a nose in her debut and the Desi Arnaz Stakes, she won both the Starlet (G1) and the Las Virgenes (G2) by more than three lengths. Midnight Bisou (Midnight Lute – Bill Spawr – Allen Racing LLC and Bloom Racing Stable LLC – 10): After defeated twice by Dream Tree, Midnight Bisou got away from her and broke her maiden in the Santa Ynez (G2) by 4 ½ lengths. Notably. Dueling with Dream Tree, she was in front of the third-place horse by seven lengths in her debut and 5 ¼ lengths in the Desi Arnaz. Monomoy Girl (Tapizar – Brad Cox – Michael Dubb, Monomoy Stables, LLC, The Elkstone Group LLC and Bethlehem Stables LLC – 54): A neck short of being undefeated in five starts, Monomoy Girl displayed an impressive 3-year-old debut by going last to first in the Rachel Alexandra (G2) and pulling away by 2 ½ lengths. 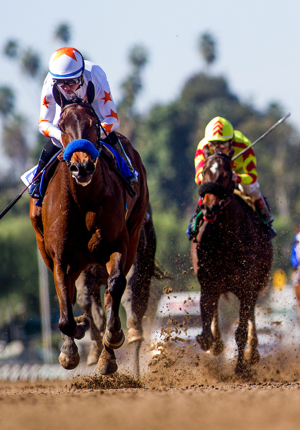 The win boosted her to the top of the Oaks leaderboard for the time being. C.S. Incharge (Take Charge Indy – Dale Romans – William Pacella, Frank Jones Jr. and Frank Shoop – 10): C.S. Incharge, a half-sister to 2016 Preakness runner-up Cherry Wine and Grade 3 winner Sweeping Paddy, took five tries to break her maiden. She continued to improve in the Suncoast Stakes, where she fended off Daisy for the win. Classy Act (Into Mischief – Bret Calhoun – Carl R. Moore Management, LLC – 20): In her first stakes attempt, Classy Act put in a game front-running effort in the Rachel Alexandra, following up a maiden and allowance victory. Daisy (Blame – John Servis – Fox Hill Farm, Inc. – 5): The Tempted (G3) winner came back to run fourth in the Demoiselle (G2), won by Wonder Gadot. She returned better in the Suncoast where she appeared out of it before turning for home, then re-rallied to miss C.S. Incharge by a length. Midnight Disguise (Midnight Lute – Linda Rice – William Wilmot and Joan Taylor – 10): The New York-bred rose from state restricted maiden claiming ranks to winning in open stakes company, jumping on the Oaks trail with a 4 ¼-length victory in the Busanda Stakes. Patrona Margarita (Special Rate – Bret Calhoun – Craig Upham – 15): The upset Pocahontas (G3) winner was away for a few months following the September race. She returned to the work tab in December and made her first start back in the Rachel Alexandra, finishing fourth. Princess Warrior (Midshipman – Kenny McPeek – Evan, Matthew and Andrew Trommer – 4): The Alcibiades (G1) runner-up has been working at Payson Park. She was last seen finishing second in a November allowance. Red Ruby (Tiznow – Kellyn Gorder – Sandra Sexton and Brandi Nicholson – 10): Over a sloppy track, Red Ruby picked up Oaks points by winning the Martha Washington Stakes, her first start back since breaking her maiden in November. Stronger Than Ever (Congrats – Kenny McPeek – Fern Circle Stables – 10): Stronger Than Ever seemed to put everything together in the Silverbulletday Stakes. At 33-1 she rallied from last and beat Wonder Gadot by a neck. 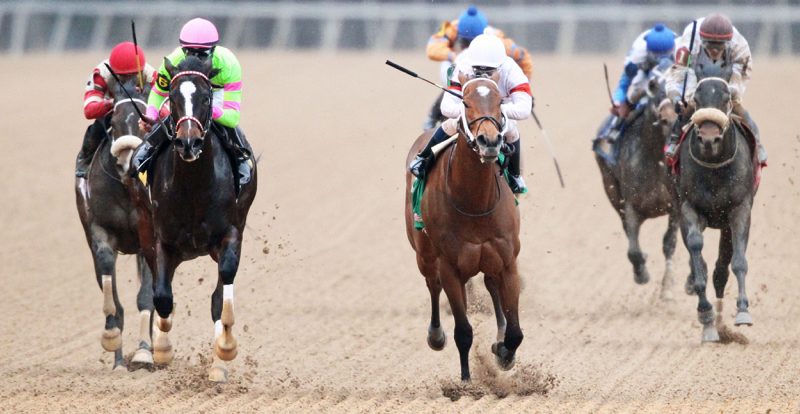 She's expected to continue on the trail at Oaklawn Park. Sultry (Malibu Moon – Eddie Kenneally – Joseph Sutton – 4): Sultry won her first stakes in the Spendthrift Juvenile Filly Stallion. She was sixth next out in the Golden Rod (G2), but rebounded to run second in the Forward Gal (G3). Take Charge Paula (Take Charge Indy – Kiaran McLaughlin – Peter Deutsch – 10): She still hasn’t proven she can win past sprinting distances, but five wins in seven starts, including four stakes wins, is still impressive at this point in her career. Her one bad race was the Pocahontas, which was also her only race not sprinting. Still, she drew a lot of attention with her 3 ½-length win in the Forward Gal, her first race after moving from Kelly Breen’s barn following a private sale. Wonder Gadot (Medaglia d’Oro – Mark Casse – Gary Barber – 24): Following her Demoiselle win and a close second in the Silverbulletday, Wonder Gadot couldn’t quite catch Classy Act in the Rachel Alexandra and let Monomoy Girl rush past, finishing third. Amy’s Challenge (Artie Schiller – McLean Robertson – Novogratz Racing Stables, Inc. – 0): This big winner from Canterbury Park hasn’t been tested past six furlongs yet, but she is perfect in three starts, most recently winning the Dixie Belle Stakes at Oaklawn. Cicatrix (Violence – Ian Wilkes – Bill Witman – 0): Although she has not run in an Oaks prep yet, her two starts have been impressive. She won her maiden by 7 ¼ lengths leading gate-to-wire, then came from off the pace in the Glitter Woman Stakes and held off Morning Destiny by a neck. Fly So High (Malibu Moon – Shug McGaughey – Phipps Stable – 0): Costing $675,000 as a yearling, Fly So High had an impressive maiden and allowance score. She has been working at Payson Park since her last start in January. Paved (Quality Road – Michael McCarthy – Ciaglia Racing LLC and Eclipse Thoroughbred Partners – 0): The El Camino Real Derby over the synthetic was supposed to serve as a prep for a turf campaign, but after beating the boys she could head to the Santa Anita Oaks (G1) next. The El Camino win awarded her with 10 points on the Derby trail. In addition to Caledonia Road, Dream It Is and Happy Like a Fool also recently returned to the work tab. Dream It Is, the undefeated Schuylerville (G3) winner, put in her first work back Feb. 16 at Webb Carroll Training Center, where she now has two half mile breezes. Happy Like a Fool, who won the Matron (G3), registered her first work back Feb. 15 at Turfway Park. She also recorded two half mile works, including a bullet in :46.80. Blonde Bomber (5) garnered attention for her third-place run in the Breeders’ Cup Juvenile Fillies, but returned at 3 to finish fourth and fifth respectively in the Rachel Alexandra and the Suncoast. Heavenly Love (10) was a very impressive winner in the Alcibiades but has yet to replicate that form. She finished 11th in the Breeders’ Cup, fifth in the Silverbulletday and seventh in the Rachel Alexandra. Miss Mo Mentum threw in a big performance in the Hut Hut Stakes, winning by 8 ¾ lengths. Her following start was not so dazzling where she ran sixth in the Forward Gal. Fillies still not back on the work tab include Alluring Star (12), runner-up in the Breeders’ Cup Juvenile Fillies and Chandelier (G1); Lady Ivanka, winner of the Spinaway (G1); Moonshine Memories (10), who won both the Chandelier (G1) and Del Mar Debutante (G1); Road to Victory (10), the one filly to best Monomoy Girl in the Golden Rod; and Separationofpowers (12), who beat Caledonia Road in the Frizette (G1).